Ultralong-range Gulfstream G650ER jet again demonstrated its performance prowess in a city-pair record connecting Singapore and San Francisco — a distance of 7,475 nautical miles/13,843 kilometers — faster than any other ultralong-range aircraft, Gulfstream Aerospace Corp. announced today. The G650ER departed Singapore’s Changi Airport at 10:58 a.m. local time December 18, 2018, crossing the Pacific to arrive in San Francisco at 8:45 a.m., local time. Flown at an average speed of Mach 0.87, the flight took just 13 hours and 37 minutes. The Singapore to San Francisco sprint marked the final leg of the seven-record journey. 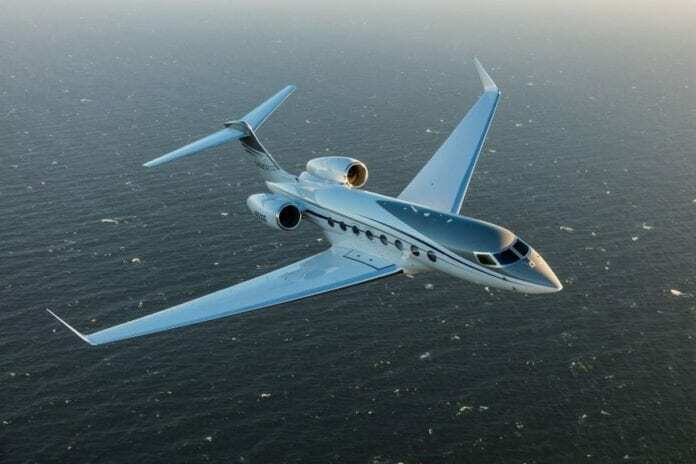 The G650ER can fly 7,500 nm/13,890 km at Mach 0.85 and has a maximum operating speed of Mach 0.925. It is powered by two Rolls-Royce BR725 A1-12 engines and can fly up to 19 passengers. The city-pair records are pending approval by the National Aeronautic Association. HOUSTON, TX - As president and CEO of Hilton Worldwide, Christopher J.